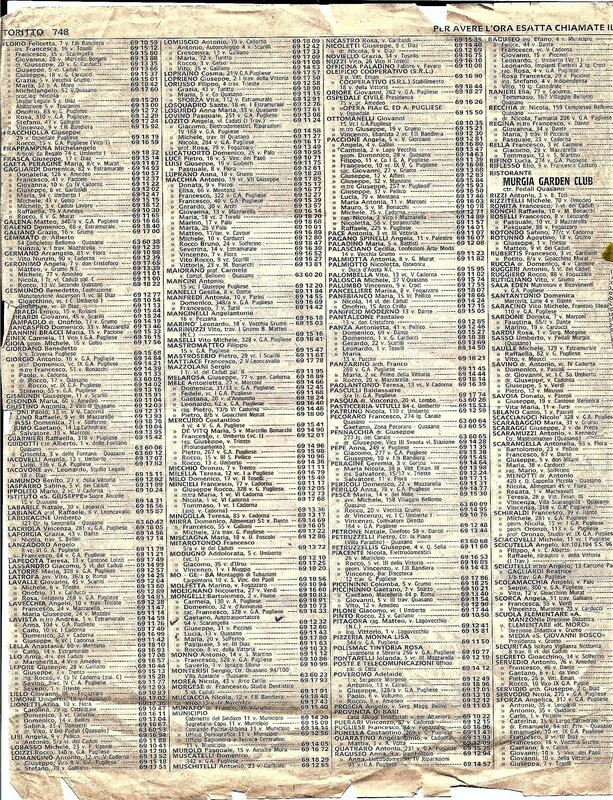 The white pages of Toritto, pulled from an Italian phone book in the mid 80s. It was a wonderful way to grow up and while I had what most would consider to be a “free range” youth there was always someone with an eye on us. 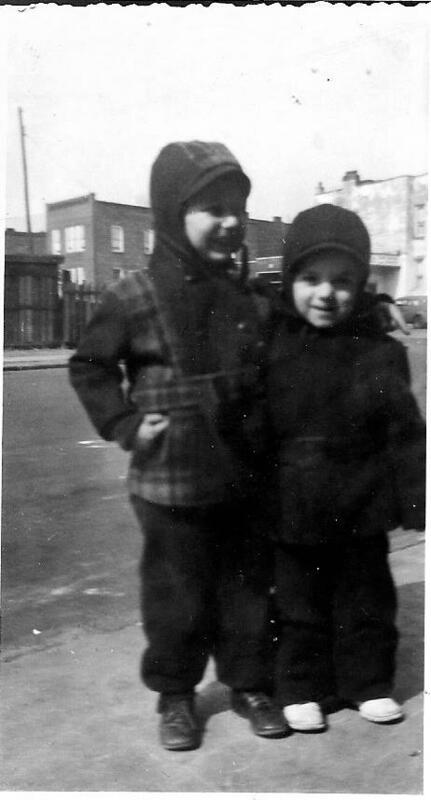 Th e Soviet Secret Police had nothing on my mother; she knew what we kids were doing before we did. By my early 20s I had visited Lisbon, Madrid, Rome, Athens, Cairo and was wandering about East Africa. And not just any Italy; a very specific Italian village. It’s the early 1980’s and Toritto is at the airport in Rome awaiting a flight to Venice. I was traveling on business, my work in Rome done. Wandering around the airport I cam across a bank of pay phones. You remember those. 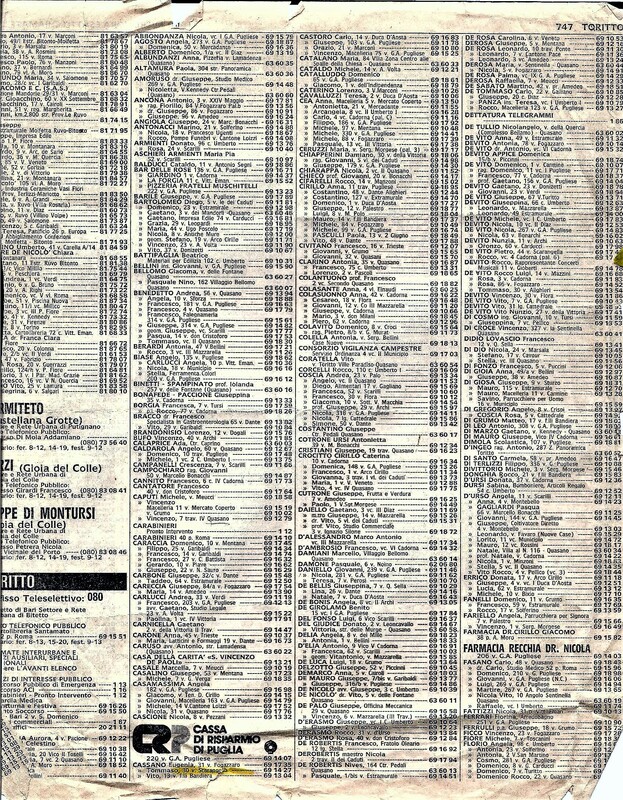 Among the numerous phone booths was a virtual library of Italian white page phone book listings. Quaint indeed in this modern era of internet and Google. An idea hits me – would the town of my grandparents be listed among the phone books?. I surreptitiously rip the page from the phone book when no one is looking! Tsk tsk! The pages are included up above. A whole town – just one page. I will assume not everyone had a phone in southern Italy in 1980. As I quickly scanned the single page I came to the realization that on that page were the village people of my youth. I grew up knowing those people, their names as familiar to me as my own. You should be able to expand the page and see the names of members of the families who joined us in America; in New York, in my Brooklyn neighborhood. You will see Bartolomeo – my first childhood friend who lived downstairs. Me and Alfred Bartolomeo who became a well known architect specializing in rehabbing of Brooklyn brownstones, one of which he lives in. DeVito – my grandmother’s maiden name, born and married in this town; here was a listing of the descendants of the family members she left behind in 1906 never to see again. 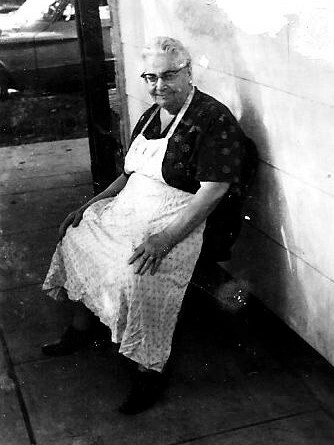 Laura DeVito Scarangella – my grandmother, who raised 8 children, 5 of her own and took my mom in off of the street when she had no where else to go. 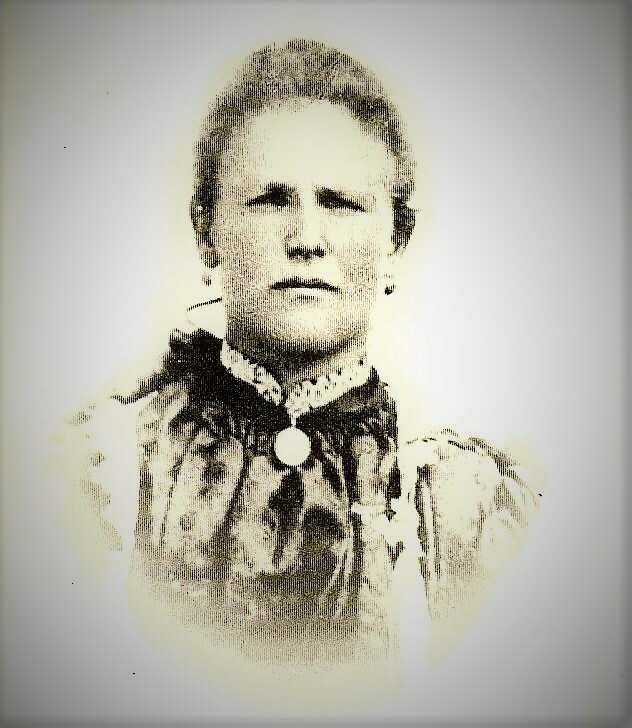 Geronimo – My grandfather’s first wife, Antonia Geronimo, who gave him two sons and a daughter before she died in Italy. Her children came to America in 1906 with their new step-mother Laura when she married my grandfather – little Gaetano, Vito and Margie – I knew them all in my youth and know their children and grandchildren. Laura would have 5 more children (all at home, in their apartment), my father being the youngest. My grandmother Laura was lucky when her sister married into the Poveromo family and followed her to America. They settled in the Bronx and I remember clearly making the trek to her home for St. Joseph’s Day festivities. I met more Poveromo relatives in Charlotte N. C. during the 1970s. I had joined a bank in that city and they saw my name in the Charlotte Observer and looked me up. “Do you know who we are?” Of course I did. They cared for my disabled son Michael the night my eldest dauhter was born. 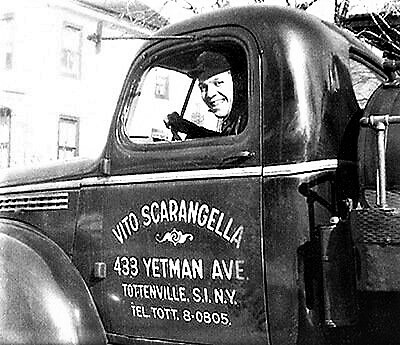 Then of course there is my own family name – Scarangella. I wrote to one of the names listed in the phone book and she was kind enough to obtain birth and marriage certificates of my grandparents and provide them to me. We carried on a correspondence for several years. She also helped me confirm that the family name was always spelled with an “a” at the end; our family now spells it with an “o” thanks to Ellis Island bureaucrats. All other spellings of the name – Scarengello, Scaringello,Scarengelo etc. are all derived from the name as it is spelled in Italy. In addition to my familial relations there were other village ties. 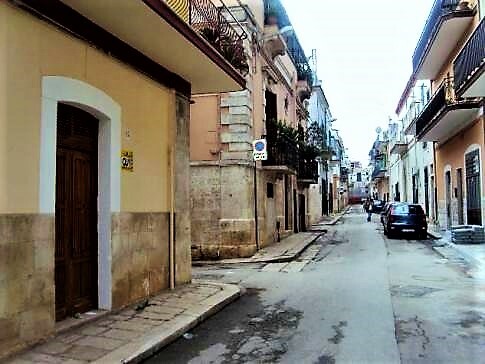 It seems that many if not most of the men arriving from this particular town started out in America as ice men; guys who lugged blocks of ice on their backs up the tenement steps to the ice boxes in the apartments above. They all knew from those who had gone before what line of work they could enter into immediately to make a living. Eventually these men evolved into “coal dealers” and retailers of fuel oil. My grandfather was an ice man; by the time my dad was born in 1917 he was listed as a “coal dealer” on the birth certificate. And many of these men from the same town, in the same business in different parts of the city knew each other. Besides members of our family in the business there were the Cirillo and the Paccione, also still found in the Toritto telephone book. 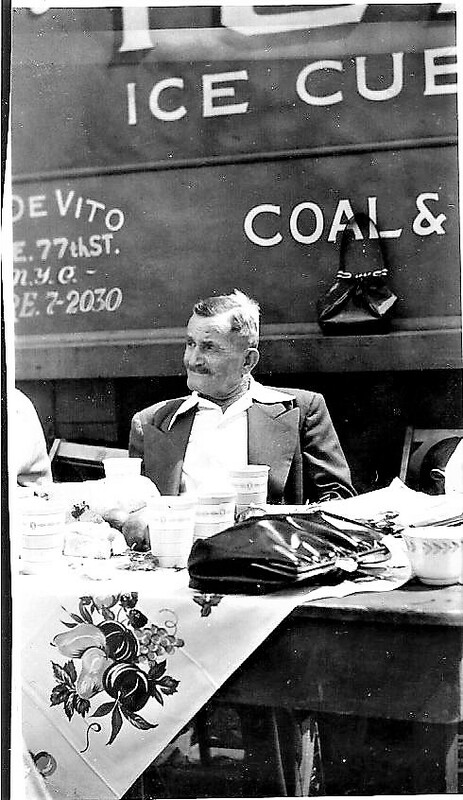 Uncle Vito, born of Antonia Geronimo and brought to America by my grandmother Laura Devito learned the business from my grandfather Francesco and went to the far reaches of Staten Island in the midst of the Great Depression to found a coal business and eventually Scaran Oil, now one of the largest retail fuel oil and A/C businesses in the northeast. It is still owned and run by my cousins. His son Frank became a prominent business leader and was a founding member of the Staten Island Hospital. Anyone know who this gentleman is? I found this picture among my mother’s albums and don’t recognize him. He is sitting in front of a DeVito coal truck with an address on East 77th street in Manhattan and a couple of ladies handbags. A relative of my grandmother in the business? Probably. The little village of Toritto also gave us Cirillo family members who, like everyone else it seems, went into the ice and eventually coal / oil business. business before branching into the oil and gasoline business. This photo of Gus Cirillo and his brothers was taken probably in the 1920s or early 1930s. 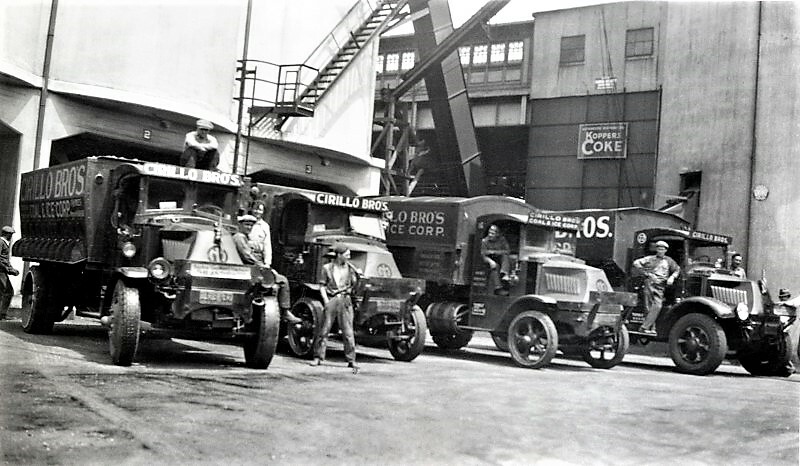 As a kid I can recall frequently passing the Cirillo Brothers Coal Yard on the Belt Parkway. It was only a short distance from my Coney Island home. It was at the foot of Bay Parkway at waters edge; the property was eventually developed into shopping mall – an E.J. Korvettes, a Brooklyn Savings Bank etc. The Nellie Bly Kiddie Park was next door and moved down the road. I believe it is still there. Did the Scarangella and the Cirillo know each other? I’m sure they did, coming from the same little town in the old country, settling nearby and entering the same businesses. Today the Cirillo are major paving contractors in Delaware. The Paccione family also went into ice, coal and oil, eventually branching out into carting, recycling and waste management. Our families had inter-married in Italy and would see each other on occasion when I was a kid. 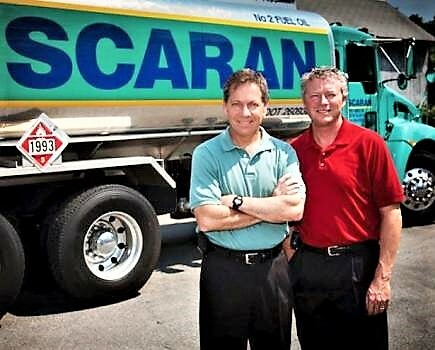 I remember their oil delivery trucks in the neighborhood as well. Today Paccione descendants are artists, doctors, science teachers and major landscapers on Long Island. The names on that single page of phone numbers were as familiar to me as my own. Today those names are still found in the little town about 20 km from the Adriatic. It is still an agricultural area, growing almonds and olives. The town probably dates back to 800 A.D and is mentioned in Norman documents in 1069. It has been a Catholic parish since at least 1171, when it was first mentioned. The names on that page, names I grew up with in Brooklyn, have lived in the little town for centuries. The streets are familiar. There is now a piazza Aldo Moro, joining via Giuseppe Garibaldi. There is a via Machiavelli. And there is a via Scarangella. This entry was posted in family, history. Bookmark the permalink. Fascinating family history indeed, Frank. This was absolutely fascinating and wonderful. Thank goodness you ripped those pages out of the phone book! Quite an extensive familly to say the least, and interesting history.